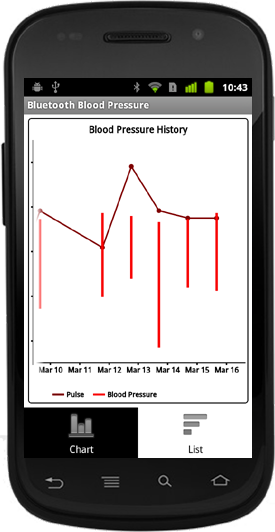 The image above is from SimpleEye Bluetooth Blood Pressure: it shows a chart of blood pressure and pulse, with the vertical bars representing the blood pressure. 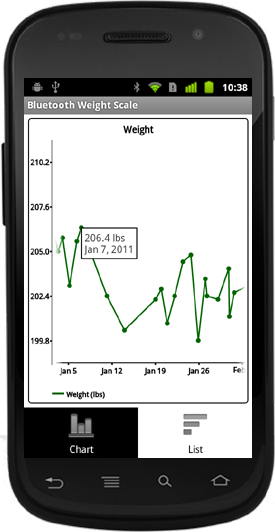 The image above is from SimpleEye Bluetooth Weight Scale: tapping on any point in the chart shows the actual chart value, allowing deeper inspection of the chart data. 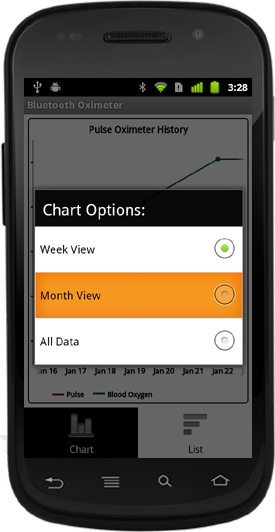 The image above is from SimpleEye Bluetooth Pulse Oximeter: a long press on the chart launches the Options menu. The chart display time period can then be changed. 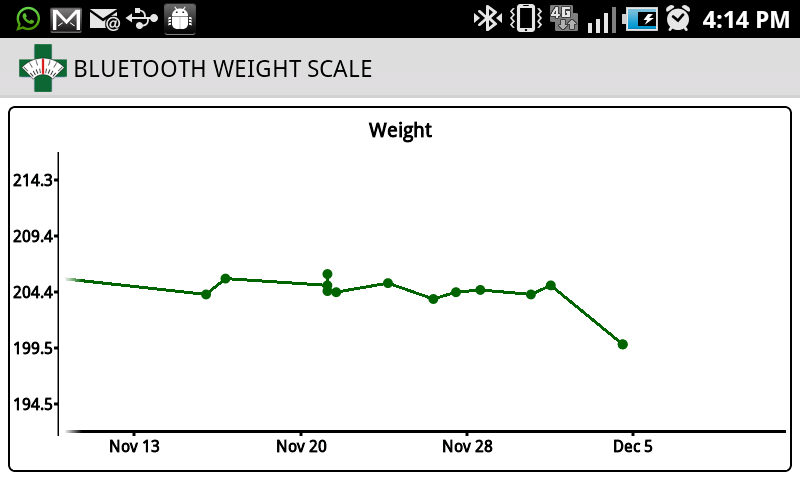 When in landscape mode the chart is maximized.